Red Rock Views! 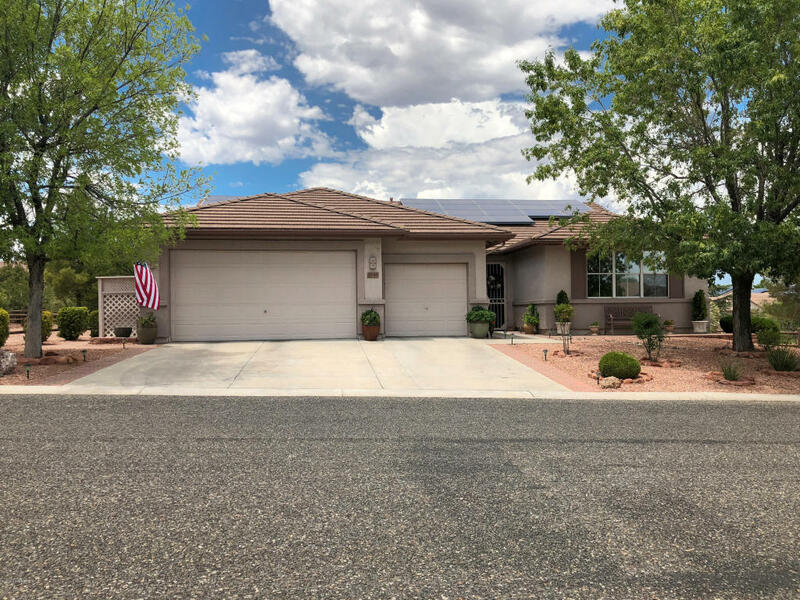 Gorgeous, rare MESQUITE split floor-plan, located in the wonderful Cottonwood Ranch w/Pool & Clubhouse. Original owners have taken great care of this beautiful home and it shows, it's Immaculate! Southern exposure, Vaulted ceilings and Immense windows mean perfect light and comfort! Fresh paint and carpet, make it feel brand new. 42'' upper and lower Cherry Cabinets throughout! Elegant kitchen boasts new fridge, Bosch dishwasher & Custom Butler's Pantry. French Doors open to an enormous Master bedroom w over-sized walk-in closet. Master Ensuite has separate garden tub and step-in shower. 3 car garage garage w Epoxy floor & ample storage. Craft room in immense Laundry room, too. All on a Quiet, private corner lot on almost 1/4 acre, bordering large Easement and Greenbelt.